I remember being totally enthralled with baby stuff when I was pregnant. The muslin blankets, the creams and oils, the diaper bag and grooming kit. How much of it did I use? Even having twins, we barely touched half of what we had. The biggest thing I came to realize was that, while the physical items for baby and mama are great, the best items we received were practical. Pretty well everything, including sleeping, eating and going to the bathroom, becomes increasing difficult with a new baby. And adding in some plans and supports can help make these necessary tasks, easier to accomplish. Your health is a priority – caring for a baby is no easy feat, the healthier your body, the more able you’ll be to keep your energy levels up while you master all your new mama-tasks. Keep it easy, healthy, and bite sized. Easy to grab snacks can help keep calories up and energy levels steady. Frozen meals will last longer and can be pre-made during pregnancy. Meal services or “meal trains” are great ways for family and friends to offer their support while still giving you and baby the space you need. Buying items in bulk can help limit trips to the grocery store. While babies are tiny, they have a natural knack for making your laundry loads and cleaning tasks increase significantly. They also need their primary caregivers around ALL THE TIME, meaning that you will have less time for more chores! Hire someone. If your budget allows, set aside a monthly or weekly cleaning visit. A postpartum doula will help with light cleaning and folding laundry. Let it go. If the cleaning and laundry pile-ups don’t bother you too much and baby needs your time or sleep is calling – let it go. It will get done eventually. Delegate. Give your guests some tasks – want to visit the baby? Come help fold laundry or unload the dishwasher. Sleep when the baby sleeps is common advice in the early days. Personally, I found this advice especially frustrating, when I first heard it. There is always so much to do and it typically seems the only way to get things done is when baby sleeps. By taking your own sleep needs seriously, you’re helping not only yourself, but everyone else – sleep is VITAL and you cannot pour from an empty cup. If you know that a clean home, regular exercise or other areas of your life are important to your mental health, then try building this into your postpartum plan. Source people you trust to watch your baby while you sleep. Consider working with a postpartum doula and/or supportive family and friends. Consider the support of an Infant Sleep Educator (https://www.bebomia.com/find-a-doula/). 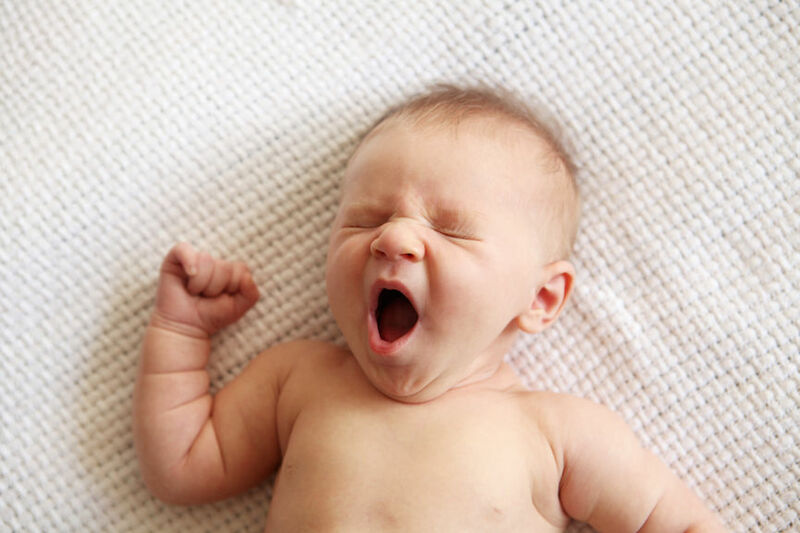 Sleep changes in many ways once a baby arrives, and is ever changing as your baby grows. Often, the best way to cope with sleep changes is to modify the expectations we have of ourselves, our babies and our lives. An infant Sleep Educator’s role (https://www.bebomia.com/sleep-educator-vs-sleep-trainer-difference/) is to give you tips on what to expect from your baby, to better manage your expectations and environment, so you can get more sleep. Limit your plans. Your role, immediately postpartum, is to nurture your new baby and yourself – that is all! Aim to keep the days simple and nurturing, and don’t feel one shred of guilt when saying “no” to anything that taxes you and/or limits your sleep. There is so much change happening postpartum – you’re undergoing an immense learning curve, not to mention the hormones and your transitioning body. It’s undoubtable that you will be experiencing a wide range of emotions, from the super highs to some new lows. Having a trusted person checking-in, can help you weather the wave of emotions and provide you with feedback that you need – be it high fives, hugs, referrals, or offering personal space. Organize a drop in train. One of the best pieces of advice I’ve heard, regarding postpartum support, is setting up a visitor document or calendar. This will give you and your loved ones a clear outline of who is coming when and what support they’ll be providing. Everyone wants to visit. Everyone wants to help. For the benefit of yourself and baby it’s best that this happens at a tempered pace (and don’t hesitate to cancel if need be!). Consider a postpartum doula. Not only do doulas act as an awesome resource to help accomplish your life tasks, they also offer non-judgmental reassuring advice. Is your baby’s poop the right colour? Are you putting the diaper on the right way? Need some tips on bathing your baby? Need to find a massage therapist, in your area, ASAP? A postpartum doula has got you covered. Breastfeeding/feeding support. Feeding your baby is something that has to happen, whichever way it is going to happen. Prepare yourself for what to expect before baby arrives and have some resources lined up in case you need them. This might include a list of lactation consultants that do house calls, breastfeeding/feeding clinics and support groups, online resources, or moms groups. When you’re knee deep in diapers and covered in milky spit up, the clichés you’ll hear about babies can wear on you. But the truth is, time does fly by and you will get through this – the days are long but the years truly are short. Taking some time to think through these tips will go a long way in lightening your load and helping to make your baby days run a little smoother.